This post was submitted by Kyra Pieterse as part of our community themed Divi Summer Sale week. Each day of the weeklong sale we will be publishing new stories submitted by community members about how Divi has helped them build their careers and businesses. Mom was working in Vietnam as a VSO volunteer with a two year stint as a business advisor to centres serving disabled people in Hanoi and second year in Huế. We came to visit her and just loved the country. 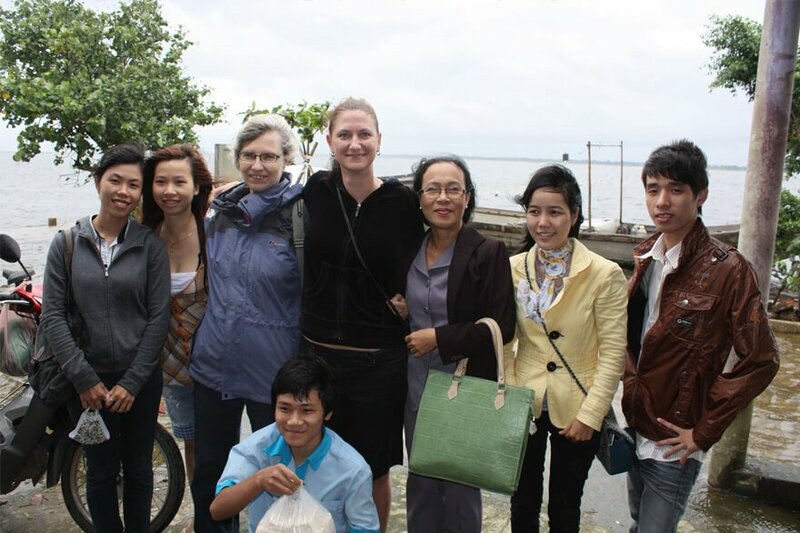 And when she moved to Huế to work at Hope Center we made the decision to join her in volunteering. I’ve been working in design for over 20 years. Started off in eLearning designing animated diagrams for the subject Biology. With Flash! From there I worked for years in design. This included big agencies or for myself and anything in between and in all areas of design including print. Once we had moved to Huế, mom immediately roped me into helping at Hope Center. Hope Center looks after disabled people by training them in tailoring and artisanal handicraft production. They needed a website, of course! The Center Director asked for a new logo, business cards, print brochure, banners and anything else she could think of. I even re-designed their uniforms which they are still using to this day and a friend fund-raised for us in Dubai so that we could set up a store which I also designed. Talk about variety! In the meantime, other NGOs working in Huế noticed me and asked for websites and brochures. And that’s how Yeah Can–our almost accidental design service company–was born. 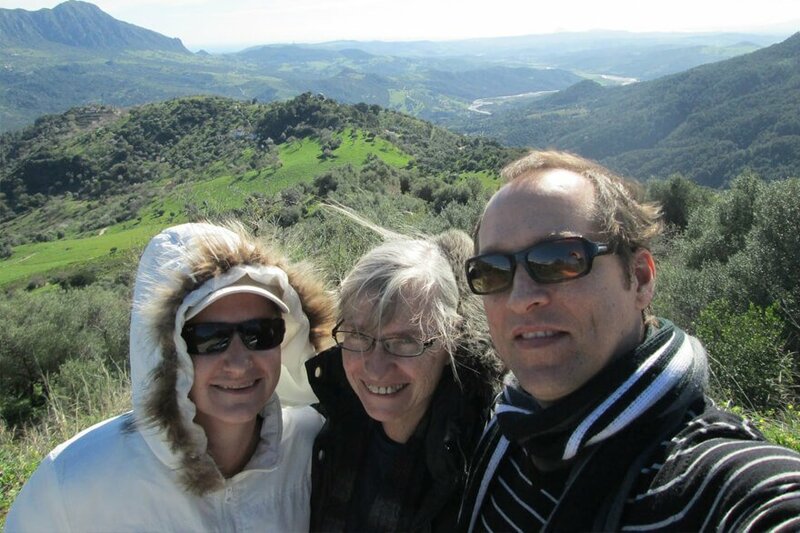 Once our volunteering stint was over we moved from Vietnam to Europe. We focused on building Yeah Can into a white label web design business. We mostly worked with WordPress but had the odd client who wanted HTML sites or just the UI designs. About three years ago I tried my hand at using the Divi Theme and fell in love. 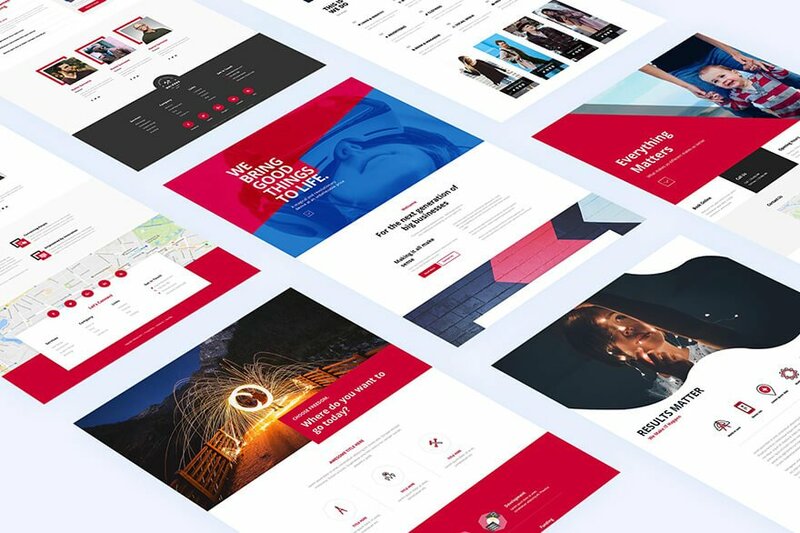 Practically overnight we changed our web design company to working only with the Divi Theme. We loved how easy Divi is to use and how it sped up our development time. Over a period of time I started to work on the idea of making UI Bundles for web designers using the Divi Theme. We had been using Divi for close on two years by then. At that time you could buy either a UI PSD kit or a theme. But you couldn’t get them together. If you are a web designer and want to do a mockup for a client (which I would always recommend) you still have to build it afterwards. If you buy a theme with no PSDs you can’t do a mockup and customising it to fit your clients needs is not always that simple without CSS or coding skills. So why not make a product that has both functions, a UI PSD kit so you can do mockups and package it with a premade Divi Layout Pack? Once your design is signed off you have all the working PSDs so you can easily export the images in the correct size. Load the modules or pages you need from the Divi Library and literally speedup your workflow by 200%–if not more. This solution is also good for people who don’t have CSS or coding skills but are still creative and want to get into web design. When we moved to Berlin. We set up Webdesign101.berlin to look after local clients. The site even has some German on it! Unfortunately, we realized pretty quickly that giving support in German was not going to happen. But the site wasn’t wasted as I used it to try out our UI Bundles idea. I designed some Divi Page Layouts, my coder Rustam built them for me and we put them up as Freebies on a makeshift store. I had no idea they would be so popular and in hindsight we should have built the Divi Den store right at the beginning. I also have to give a shout out to Craig from Divi Theme Examples who gave us our first big push. I found his site and decided to add one of our Divi client sites. He contacted us and asked if we had affiliates. Affiliates? We had no actual products at this time but Christiaan set it up! It was an order! We could not believe it as we were still working on setting it up. The site was only a few months old and had very little traffic so we decided just to work live. Lesson learned! Now it’s staging sites first. Always. We never made that mistake with client sites. Why would we do it with our own? We were so unprepared for our first sale that we had even forgotten to upload the product (we now have a launch checklist) so our first customer had to phone us asking for the product. So, so embarrassing. We finally made our first product–the Unicorn. It took us 4 months to complete in-between client work. All you Divi product makers know what that’s like. You just want to work on your product but those ‘pesky’ clients keep on wanting your attention. We had to learn a lot about support. Thank goodness for Marko who heads up our Support now! Even our Freebies required support. But it’s also a great way to find out what you are doing wrong! And we realised the Unicorn Bundle was too complex. In the first version we exported everything individually and made css and jquery files for each module. What we discovered was our customers were not using child themes and were unsure where to put the code. Version two we introduced a blank child theme which held the code. The problem with version two was that people were still adding the css and ended up with duplicate css and were basically confused. During a strategy meeting about how to fix this problem I asked whether we couldn’t just hide the code and put it all into an easy to use plugin. Version three of the Unicorn was born. The plugin ended up being a great idea and our support dropped by about 80%. The added benefit of the plugin idea was that it made upgrades so much easier. I’ve been so incredibly thankful to all of our early Unicorn customers who travelled through this discovery phase with us! Mostly without complaining too much. Our second product took us another four months to make. We were still working on getting the product right and doing client work. The Mermaid Bundle launched with a bang and we made the hugely scary step to stop taking on client work completely. It was a gamble which luckily paid off. Ever grateful to our fabulous customers. Our plan was always to make a membership site but because we make all our own products it has taken us a year to have enough in the library to make it worthwhile to subscribe. It also means our members get our products as they are ready without having to wait for a big bundle to be completed. When we design our products we always try and provide pages and modules that will be useful to a web designer working on their own or client projects. We also provide design assets and business tools to go with it. Our Divi Den Pro membership launched mid July. We hope folks will see it as a more cost effective solution. None of this would be possible for us without the Divi Theme. So thank you to the Elegant Themes team for giving us this opportunity and we look forward to all the exciting new updates to come. I have enjoyed watching your company flourish. Thanks for sharing your story. It is inspirational. Congratulations, and thanks for the mention 🙂 you have always produced great quality work, so it was always going to be a success really. Keep up the good work. Great story! I’m sure there are other companies that specialize in Divi “add-ons” – how about adding a “Divi Marketplace” so members can take advantage of these offerings to expand the Divi Experience? Well Frank A DIVI marketplace is coming at this place. They need to have all the quality control they feel is necessary at this place before it goes live. I have no timeline on this feature at all. Sou usuária dos produtos DIVI DEN e recomendo. O suporte é rápido. São muito gentis. Produtos de qualidade! Congrats! I was part of those that got confused about the Unicorn v.2 since I used v.1 to setup the site…thanks to Kyra and team for responsive support. Also, your css subtle animation effect made me to jump to your wagon and the journey have been good.